Malaysia is an enigmatic country that is infused with various cultures to bring forth its own uniqueness. Apart from food in Malaysia, shopping is another thing that is popular here, we have marvelous shopping places all over Kuala Lumpur that are culturally infused with traditional Malaysian items and souvenirs. Whether you desire to buy jewelry, silverware, traditional Malaysian fabrics or tasty snacks, Kuala Lumpur is your place to be. The Tour operator in Malaysia presents you the top five things that you should buy in Kuala Lumpur. Malaysian fabrics: One of the must-buy items in Kuala Lumpur are the exquisite Malaysian fabrics. One of the most popular Malaysian fabric is batik. The Batik is essentially a beautifully patterned silk fabric that is dyed in bright and exquisite colors. The patterns are created by using wax and generally include designs such as leaves, flowers, and trees and is then dyed into different colors. The high-quality material with intricate and multi-colored designs is used to create various accessories and clothing items. 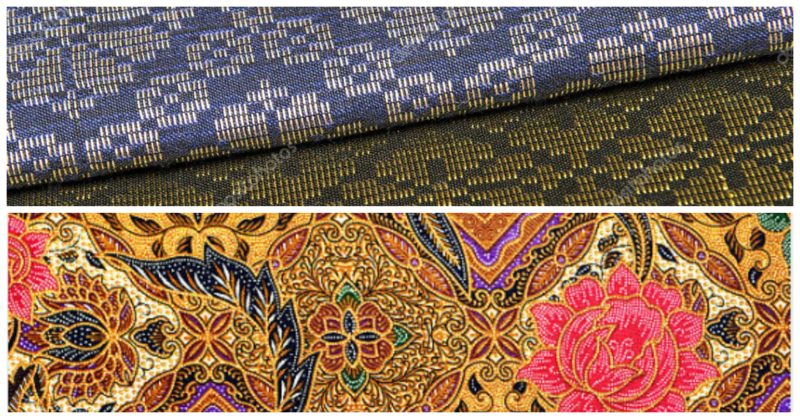 Another silk-based fabric that is popular in Malaysia is the Songket. The gold and silk threads are interweaved to create this beautiful fabric. The fabric is a little costly and can be used to revamp your house. Pewter wares: Another popular product in Malaysia are the pewter wares. 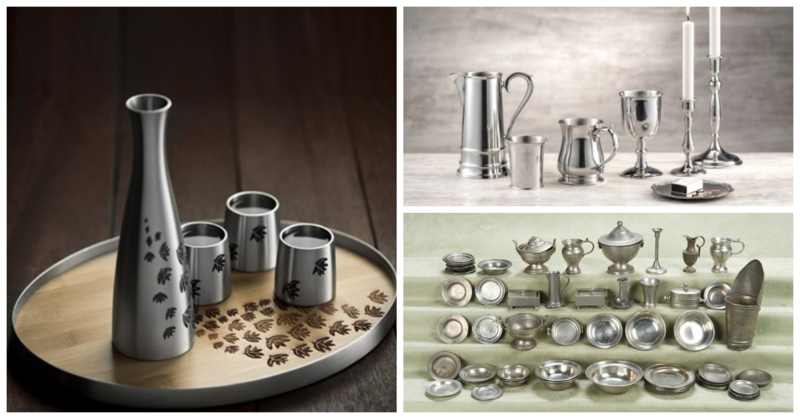 Pewter wares are molded by using various metals, the chief metal being tin. The goods are very popular in Malaysia as well as worldwide therefore are readily available in the local markets. You can buy pewter goods from Royal Selangor, which is popular for being the largest manufacturer of pewter wares in the world. The goods have beautiful and intricate designs which will surely catch your eyes. You can look for beautiful wine accessories, beer mugs, jewelry, accessories, and other such products. Local Tea and Coffee: The local Sabah Tea and the Old Town White Coffee are the two tea and coffee brands that you must buy in Malaysia. Old Town White Coffee is the largest coffee chain in Malaysia and they have perfected their coffee flavor by successfully blending three different coffee beans that are freshly roasted to give a rich flavor to the coffee. The texture of the coffee is smooth and milky and the taste is delicious. Apart from the coffee, you can buy two brilliant tea flavors, Boh and Sabah tea. Both the tea brands are committed to the local culture and are well renowned for their taste. Boh tea has a delicious spice infused flavor that has a tantalizing effect on your taste buds. Sabah is also a popular local brand that is available in Sabah and West Malaysia. Both the brand are Malaysia’s all-time favorite and a favorite amongst tea lovers. 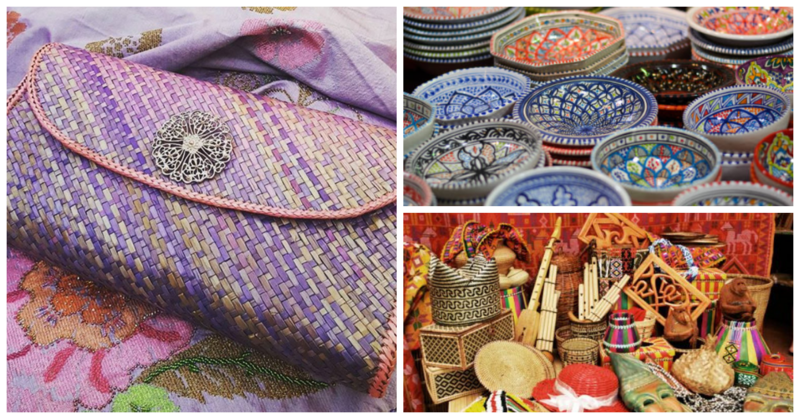 Malaysian handicrafts: Hand-woven crafts are extremely popular amongst the tourists. These special Malaysian handicrafts are created by using coconut shells, bamboo, rattan, and pandan leaves. Bamboo is a very popular material in handicraft construction and people often buy beautiful accessories like hand-woven handbags, hats, placemats, baskets, ornaments, and souvenirs. No matter what you desire, Malaysia has it all! Chinese traditional herbs and medicine: Another interesting item that you can buy in Kuala Lumpur are traditional Chinese herbs and medicines are extensively available all over Kuala Lumpur, owing to the vast Chinese population in Malaysia. You can head over to Jalan Petaling in Chinatown which has the best places to shop these amazing herbs and medicines. You would get traditional cures to health problems like asthma, stomach aches, headaches, sinus, flu, and other health problems. Kuala Lumpur has one of the best places to buy Chinese herbs and medicines. Durian chocolates: A traditional Malaysian fruit, Durian is quite popular and well eaten in Malaysia. The fruit has a cocoa flavor with a tangy twist, even though the smell of the fruit puts you off. The hedgehog shaped fruit is incorporated in chocolates, cakes, truffles, and sweets. The taste of the chocolates is quite unique and is a definite item that you should take back with you. Other than these products you can buy a lot of other souvenirs on your trip to Kuala Lumpur, Malaysia. Malaysia is a great place to visit and is a unique shopper’s haven. Hire a luxury tour operator in Malaysia that can provide you with a traditional Malaysian experience, to help you weave exquisite vacation memories. GMTC is a popular DMC in Kuala Lumpur Malaysia, that creates special itineraries for business conventions, groups, and individuals. You can book your tours to well-known Malaysian destinations like Langkawi, Penang, Kuala Lumpur etc. Read more about Malaysia and Kuala Lumpur by visiting our blog page.